As I mentioned before, Tony and Drew down in Philly have started a weekly trick meet up entitled the Water St. Sessions. Held in South Philly, the Water St. Sessions is very much like the Peel Sessions; it gets people together to work on tricks. If you live in Philly, make it out. 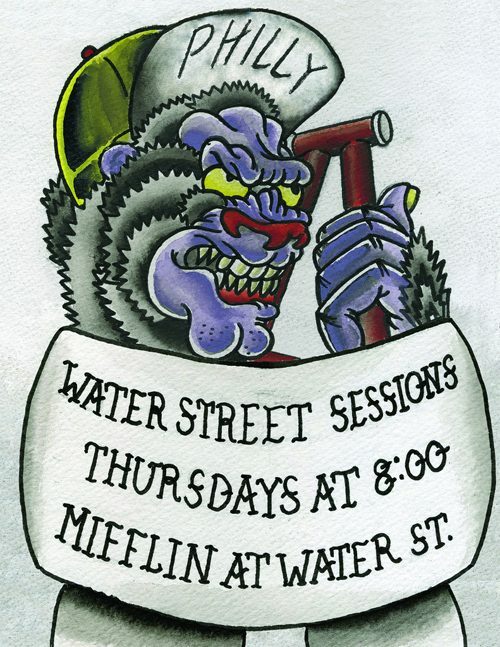 Every Thursday night 8pm Mifflin at Water St.